Achieving a healthy lifestyle is now within reach with the UP fitness gadget. 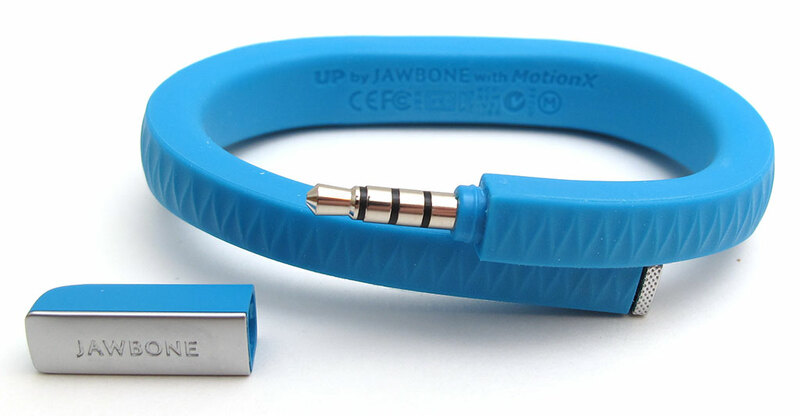 Developed by the Jawbone Company, the UP is a fitness tracker used to monitor the sleep quality, physical activities done and the consumption of food. The device uses a smartphone application to display its recordings. This application is compatible with iOS 5 and Android 4.0 Ice Cream Sandwich or later versions of each. A full UP package includes th UP device, a USB cable and a guide book. UP uses a 3 axis accelerometer to monitor the body movements of the wearer such as steps and other physical activities. The device uses advanced sensory technology to monitor the quality of sleep of its users. This is achieved by monitoring body movements during the sleeping process, the duration if took before you to slept, how long you slept, the number of times you possibly woke up during the night as well as light and deep sleep duration. The UP device supports sharing of data through social networks. This allows its user to their heir results with other UP users. The UP smartphone app receives this data during syncing a works to produce results. The analyzed data then assists the user to make relevant changes to his lifestyle. Food monitoring and calculation of calories is done by manually writing your food combination into the mobile application and analyzing it. The UP device is quite easy to use. The gadget is worn on the wrist and fastened just below the palm of the hand. Once in place, the gadget is activated by pressing the button at the top of the device. The button is then pressed twice with a prolonged second press to set the device into workout mode. When the exercise session is over, the session can be stopped by long pressing the same button. To see your daily performance, the device can be plugged to a smartphone.This out of the ordinary gadget comes in three sizes that is small, medium and large. The size of the band is important in recording accurate results. A band that is too large or too small is uncomfortable to wear and may not give accurate results. The device uses a 3.5mm jack for wired paring. This allows the users to transfer their data to their smartphones for viewing. The gadget is made of hypoallergenic rubber for its flexibility and average partial resistance to water. Thus, the device should not be submerged into water, discouraging its use during activities such as swimming. A nickel and nylon casing covers the 3.5mm jack. The UP devices has a durable lithium-ion polymer battery lasting up to 10 days depending on the usage of the device. The devices uses a USB cable to attach it to a charging device such a laptop. The UP device utilizes LED light technology to distinguish the different states of the fitness band, that is, green when active, blue when dormant and red when battery low or charging. What the gadget can do for us? Monitoring and stimulating good quality sleep through the use of vibrators that work as a smart alert. Managing a healthy weight by using the idle alert to stimulate more participation in physical activities. UP has received numerous positive feedback from its users. Many of its wearers were impressed with its unique design and the ease in using its mobile application. Although UP does not have a screen to display its results, this device is considered to be comfortable and relatively affordable in comparison with other brands. Its battery longevity is an added advantage for its users. Its major shortcoming is in its exclusion of potential users who do not use the iOS or Android platforms. UP is the best way to transform your lifestyle into a healthy lifestyle. Its monitoring capabilities and sensory technology ensure that the body burns enough calories to maintain a healthy body weight, keep fit and sleep well. Good care should be given to the device to ensure accurate results are recorded. Live the healthy way: get UP. Healbe GoBe: Let Healbe GoBe Be Your Guide To Good Health!